Live streaming, Blog updates and latest results on Day 2 at the 2018 World U20 Championships Tampere 2018 on Wednesday (11). 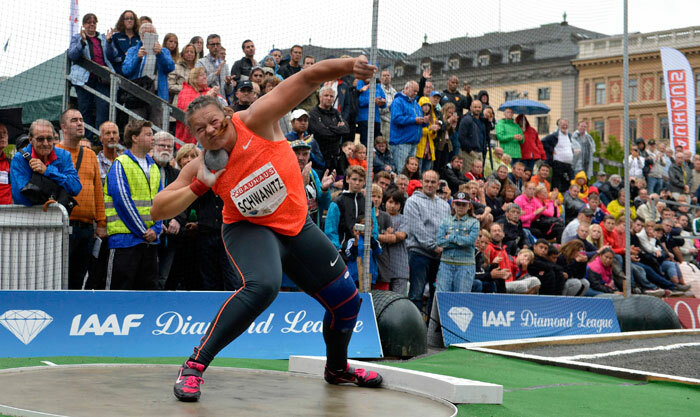 World-leader Christina Schwanitz continued her impressive form in the ring this summer by claiming another win in the women’s Shot Put – this time at the Stockholm IAAF Diamond League meeting on Wednesday. 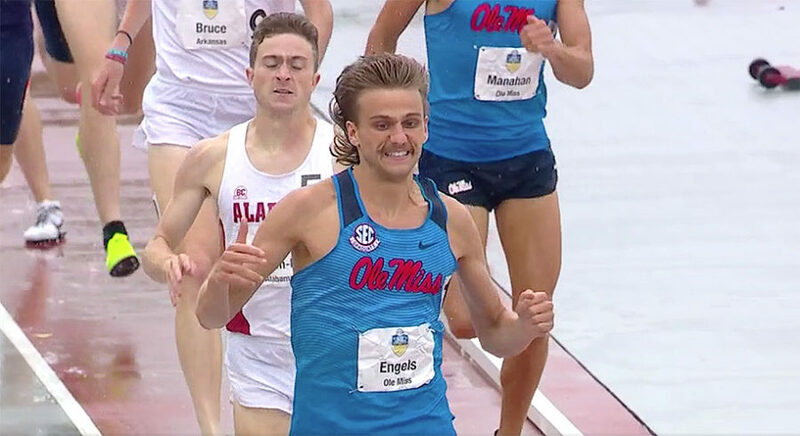 EUGENE, Ore. — The 2014 NCAA College Outdoor Track and Field Championships will get underway on Wednesday from Hayward Field in Eugene, Oregon. The National Association of Intercollegiate Athletics (NAIA) and NeuLion have announced the video-streaming schedule for the 2014 Spring NAIA National Championships. WEST LAFAYETTE, Ind. – The Purdue women wrapped up their best Big Ten Championships in 13 years, while the men finished with their best finish since 2009 at the Rankin Track and Field on Sunday. The Boilermakers picked up three more medals on Saturday to bring the two-day total to five at the three-day Big Ten Championships. Purdue also qualified 14 entries for Sunday’s championship events, which begin at 10 a.m. ET at Rankin Track and Field. 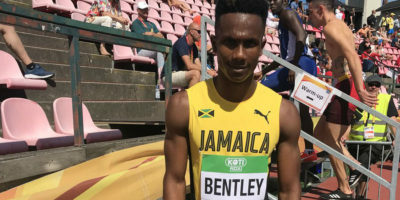 NEW ORLEANS – “Records are meant to be broken,” so the old adage goes, and the members of the post-NCAA Indoor Championships edition of The Bowerman Women’s Watch List announced Thursday certainly obliged. 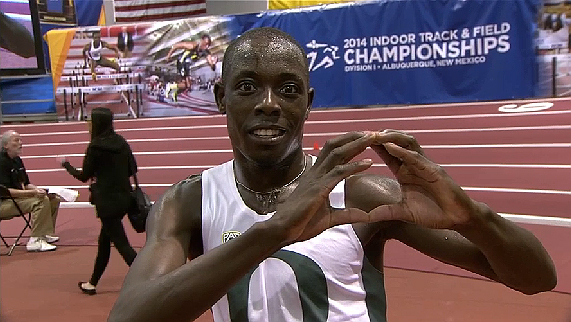 Oregon freshman Edward Cheserek ended Arizona’s Lawi Lalang attempt to win an historic three gold medal at the NCAA Indoor Track and Field Championships, by winning the men’s 5,000m on Friday night. Cheserek stunningly changed gears and burst ahead on his way to winning comfortably in 13:46.67. Oklahoma Baptist will defend its men’s and women’s team titles at the 49th annual men’s and 33rd annual women’s National Association of Intercollegiate Athletics (NAIA) Indoor Track and Field National Championships.